A Semi-Definitive List of Worst Nightmares by Krystal Sutherland (eProof) - Ever since Esther Solar's grandfather was cursed by Death, everyone in her family has been doomed to suffer one great fear in their lifetime. Esther's father is agoraphobic and hasn't left the basement in six years, her twin brother can't be in the dark without a light on, and her mother is terrified of bad luck. Then Esther is pickpocketed by Jonah Smallwood, an old elementary school classmate. Along with her phone, money and a fruit roll-up she'd been saving, Jonah also steals her list of fears. Despite the theft, Esther and Jonah become friends, and he sets a challenge for them: in an effort to break the curse that has crippled her family, they will meet every Sunday of senior year to work their way through the list, facing one terrifying fear at a time, including one that Esther hadn't counted on: love. From Goodreads. Trigger Warning: This book features attempted suicide, panic attacks, and discusses paedophilia and child murder. Warning: This review will contain spoilers, as I find certain areas problematic, in regards to my personal experience with anxiety. At the same time, I understand that anxiety can affect those with this mental illness differently, and so while I find this book problematic based on my experience, it's possible this is an accurate representation of anxiety for others. Though it is important to state that this isn't an #OwnVoices novel. 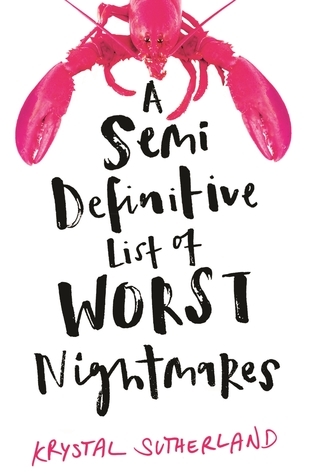 A Semi-Definitive List of Worst Nightmares by Krystal Sutherland is not the book I thought it would be. I was expecting a comedy about people facing their fears. Instead, this is a much more serious book about mental illness. Everyone in Esther's immediate family has a mental illness. Her dad has agoraphobia, her mum has a gambling addiction, her brother Eugene has depression, and Esther herself has anxiety. It might sound a little unrealistic for a whole family to have mental illnesses, but it's not; everyone in my immediate family, including myself, has a mental illness, too. I found it really interesting how everyone had a different mental illness, and how they affected the others in their family, primarily Esther. She has anxiety, and so she knows there is no quick and easy fix, that their illnesses are not their fault and not something they can control, but at the same time she struggles with how she feels let down by her family. She needs them, but they all have their own thing they're dealing with. She rarely sees her dad, because he is unable to leave the basement after suffering a stroke left him agoraphobic. She used to go and visit him all the time, but seeing him get worse and worse, it just became too hard, so she stopped. She needs her mum to parent, but she spends most of her time with the slot machines, and puts her family in so much debt. She has become superstitious, and her biggest fear is bad luck, so she is also obsessed with good luck charms. They used to be so close but now a rift has formed between them. Esther almost feels like her mum just doesn't care any more. And Eugene's struggle with depression gets worse every day. He is absolutely terrified of darkness, of the monsters he sees in the dark, so the lights in their house are always on, and he always carries torches, matches and flint with him wherever he goes, not feeling safe otherwise. Esther is Eugene's light in the dark, but Eugene is hers, too. With Eugene starting to lose his battle with depression, she finds he can't be there for her like she needs him to be. She's losing her family to mental illness, and despite having one herself, she resents them for it. And then there is her own anxiety. 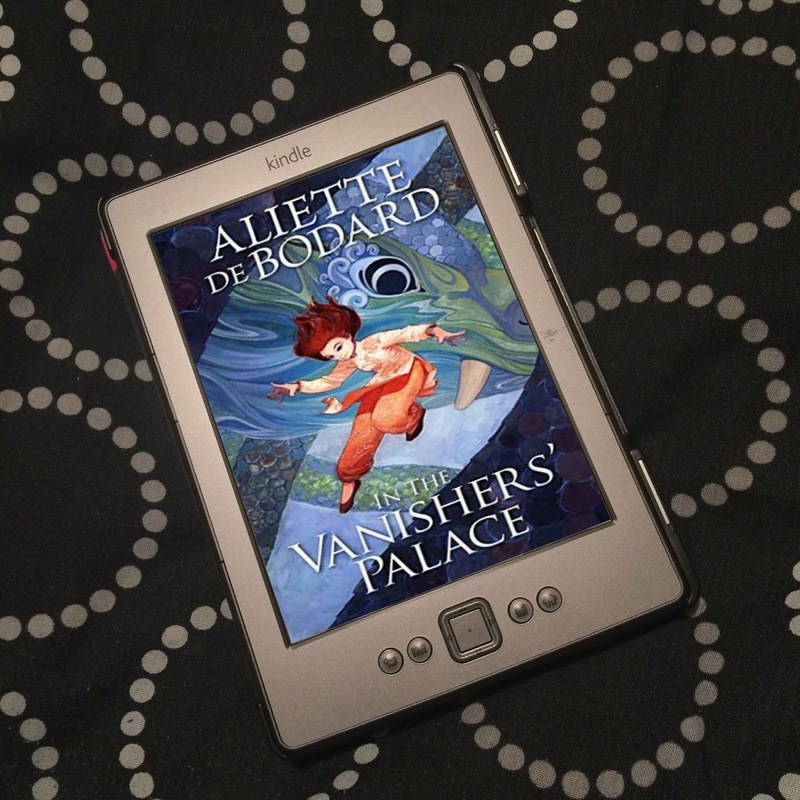 A long time ago, her granddad met He Who Would Become Death, and his family was cursed. Each and every person in his family would have one great fear, and they would eventually die from what they are scared. Because of this, anything that even slightly scares Esther goes on to her semi-definitive list of worst nightmares, and she avoids it like the plague. If she avoids everything that scares her even a little, she won't work out what her one great fear is, and it can't kill her. 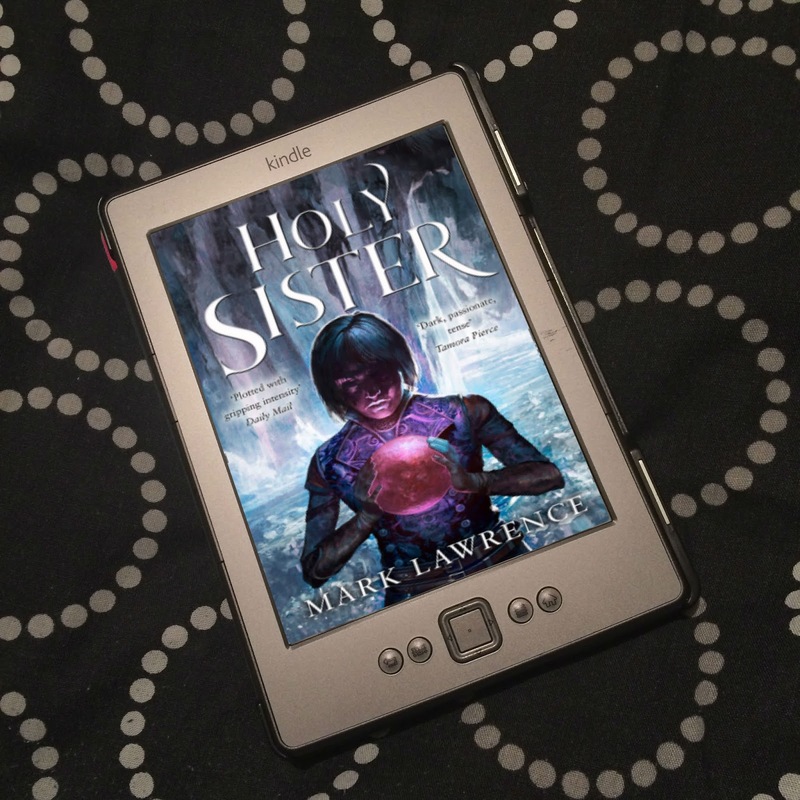 But when an old class mate, Jonah, comes back into her life and discovers the list, he challenges her to try and face a different fear each week, in order to remove the curse. And this is where I had problems. I found the whole issue of the curse and the presence of Death - are they real, are they not? - took away, a little, from the seriousness of the mental illnesses. Except, it doesn't. The problem is with Esther. She believes in the curse, she believes her granddad met death several times, and because of this, she also believes that her family's mental illnesses are down to the curse. Break the curse, and they'll be fine. Curse or not, this is of course ridiculous, and the book does deal with this eventually, but there were a number of times when I just wanted to put the book down, because I found it just too difficult to deal with. I wanted to shake Esther. Her family, every single one of them, needs help, proper medical help, and she's wrapped up in a curse that may be real or not. By facing each of her fears, she thinks she's helping them, when all she's doing is giving herself multiple panic attacks. Which is another thing I had a bit of a problem with. Jonah's insistence that she face each of her fears, even when she doesn't want to. She has anxiety - she, too, needs help. Jonah is not a medical profession, and forcing her to, each week, do things that trigger her anxiety is just so out of order. I have anxiety, and that it just felt so cruel to me. It may make sense to some, and it is even used in Cognitive Behavioural Therapy. Because the more you avoid something, the worse of an affect it has on you, and your body needs to learn that this thing, this trigger, isn't going to kill you, nothing bad will happen, and so on. But in CBT you are taught methods on how to cope, things are taken slowly, you take baby steps that lead up to the bigger things. You are not just thrown into the deep end and expected to swim. On top of that, I found how quickly Esther got over her panic attacks and was able to do the thing that scared her without a problem unrealistic. What I also found strange is that when both Eugene and Esther see a therapist together, the therapist give Eugene baby steps to tackle with his fear of the dark and his depression, but yet tells Esther to keep doing what she's doing, though with giving her methods of how to challenge her thoughts and cope with her anxiety. In the author's note, Sutherland explains that those methods came from a TEDX talk from Dr. Dawn Huebner, "Rethinking anxiety: Learning to face fear." But I find it strange that Eugene is given baby steps and Esther is not. This is not my experience of CBT, it is also not something I think I would have been able to do when anxiety had me in grips. As I say above, I understand that those with anxiety experience it differently, and maybe this approach does work for others, so I could be wrong in thinking that diving in head first is not only asking too much, but also really harmful. But I can only go on my experience, and I just didn't find this book realistic in that sense. Also, I had issue with how Esther's mum and dad get over their illnesses. Esther's mum just decides to go cold turkey with her gambling, to try to do better, without any help whatsoever, and succeeds. Esther's dad, whose body no longer functions as it should due to several strokes, climbs his way out of his basement to get to Eugene when he has that parental instinct that his son is in danger, and from then on, he's fine with being outside. I don't have agoraphobia, nor do I know anyone who has it, but I've read another book where a character with agoraphobia forced herself to go out when she was in danger and absolutely had no other choice, but it wasn't easy, it was unbelievably difficult for her, and her panic attack at the time was so bad, but she wasn't fine after because she managed it once. She still had a mental illness, she still struggled and still needed help. Things were better, yes, but she wasn't "cured". So I find how Esther's mum and dad just snap out of their mental illnesses not only unrealistic, but harmful, because I feel it just perpetuates the stigma that if you really wanted to, you could just stop being mentally ill. No-one can "snap out" of their mental illness. You can't pull yourself together. That's not how it works. I have really mixed feelings about this book. I really wasn't on board with the curse/Death part of the story, and when it comes to the mental illnesses, some things felt true and realistic (like how Esther dealt with her family's mental illnesses), while others felt problematic and harmful to me. The thing is, I know if I'd read this before I had anxiety, I would have loved it, because it is an enjoyable read. But I just know a bit more now. To be honest, I don't really know what I feel. 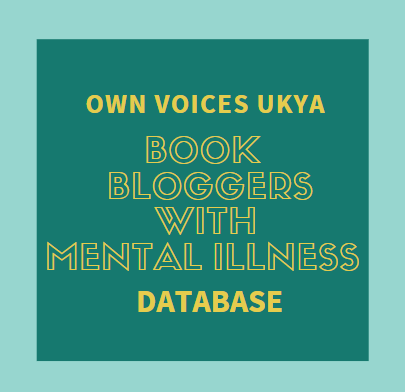 I'd love to read more reviews by people who have the mental illnesses featured, and see what they thought of it all. I'd maybe suggest you seek them out, too.